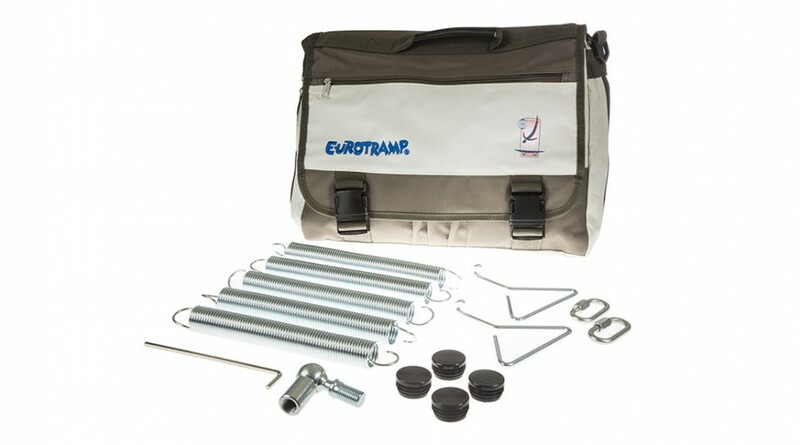 Eurotramp encloses a service bag with spare parts and important documents (certificates, erection and maintenance instructions, etc.) 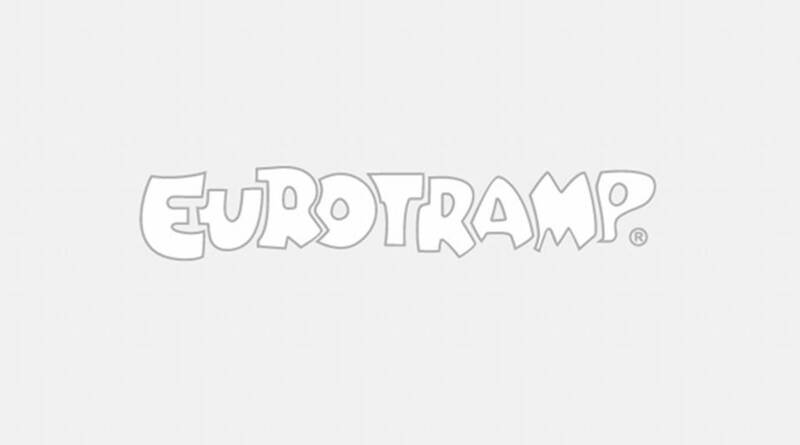 in every delivery of a large trampoline. 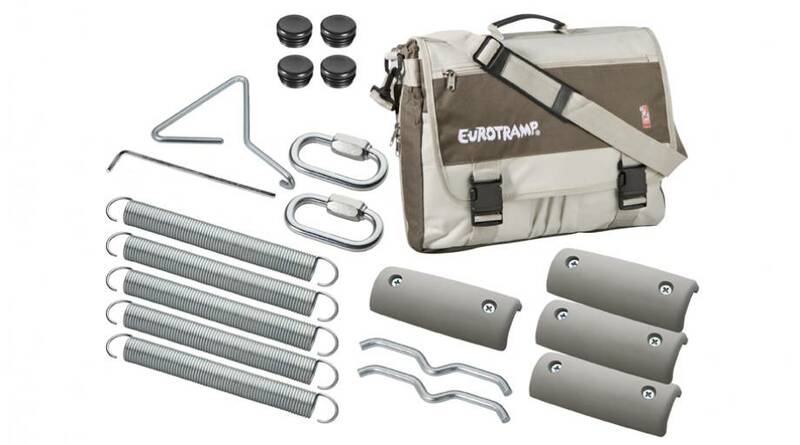 This service bag contains springs, straps, anchor bars, plastic caps and floor protection corresponding to the apparatus, etc. It is thus guaranteed that the customer can quickly and easily exchange important components in case of wear.